I’m totally in love with Swedish Mini Rodini, and this is definitely on my rather long Hei Moose wish list! Their Spring/Summer collection include the uber cool map print available as romper suits, dresses, beanies, tees etc! Also, if I had a girl, I’d probably have to get the pineapple swimsuit – not too girly at all, just very stylish! Mini Rodini is available from the cool Nordic shops Scandinavian Minimall and Nordic Kids at least. Trend Alert! 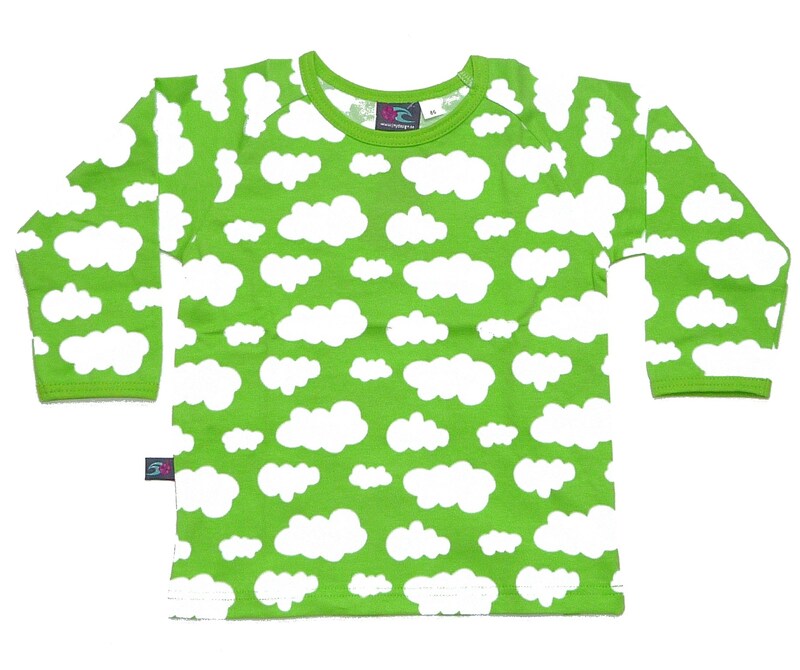 Fluffy Clouds and Crazy Circus prints are now everywhere in cool kids’ clothes. And what I have seen, Summer 2012 and AW 2012 collections will have even more circus and cloud prints! At Hei Moose, we’ve got clouds and circus by Swedish Lush Label JNY colourful kids/JNY Design, and they are going fast. Elsewhere, for example Gunila Axen (available from Nordic Kids), Villervalla and Me & I have clouds. Misha Lulu has a stunning funky circus dress that I found on Pinterest.